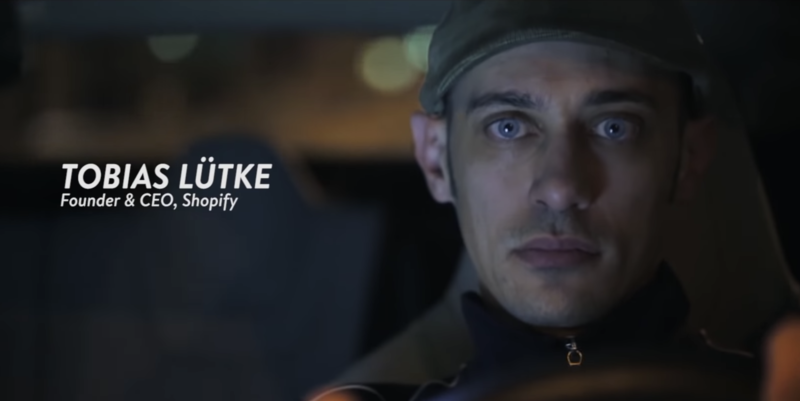 When Shopify prepared for its IPO, CEO Tobias Lütke didn’t present the typical pitch deck that investors are used to seeing. Instead, the company launched a documentary. The Shopify documentary dives deep into company history, starting with the kernel of an idea to make an online shop, and ending with the future of retail. Along the way, a story emerges of a product that has helped customers, created jobs, and changed the way ecommerce functions. This kind of grand, out-of-the-box product presentation isn’t just entertaining to watch; it’s also good for business. Have 25 minutes to spare? Be sure to watch the documentary in full. So, what can we learn from companies like Shopify about pitching our products to potential customers? As it turns out, many of the creative tactics used to produce these compelling videos can be applied to the sales pitches we make every day. In this post, we take a look at what companies like Shopify, Quip, and Intercom have done with product videos to uncover some helpful tactics for crafting the perfect product pitch. You don’t have to make a public offering or a high-budget documentary to tell your product’s story. Any sales rep can make a creative sales video that surprises and delights prospective buyers. It’s sympathetic: It positions the product in the context of people (partners, customers, employees). 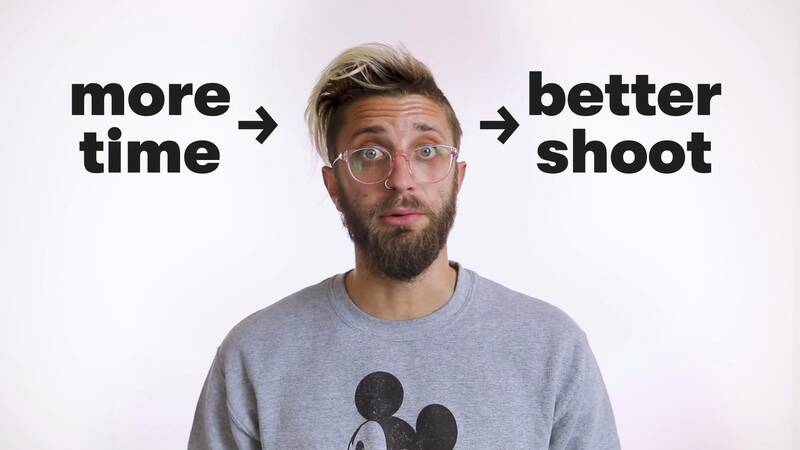 It’s structured: The sections of the video make it super clear where the pitch is going. It’s surprising: No investor expects to get company information in this way, which makes it that much more effective. By the end, you feel like you know how the product could have a positive impact on every person in the room. A video sales presentation can be a powerful tool for proving your value to customers. If you’re just starting out with sales video, here are some of the best practices to follow and the key mistakes to avoid. You relate with other people, not the things they’ve built. Without people, customers will never fall for your products. Your story is the reason people buy at first, and it’s the reason they stick around over time. 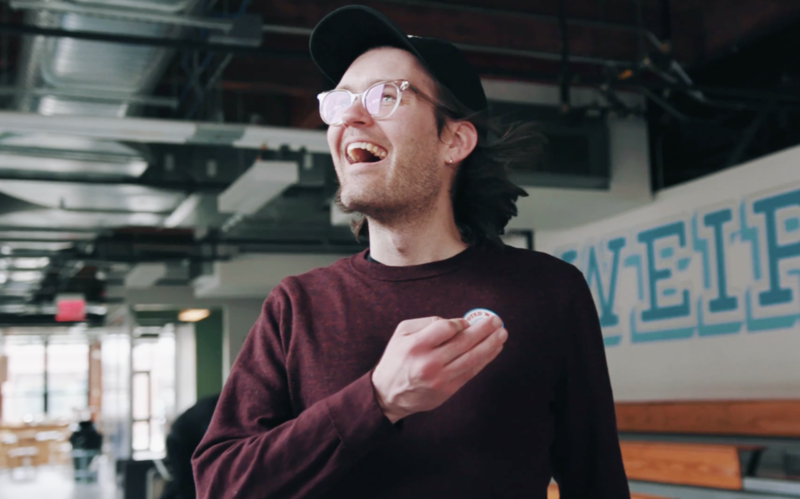 At Wistia, our sales presentations begin with personal introductions and anecdotes so that customers can get to know us before we “talk shop.” We even built Soapbox to make sales presentations more human — here’s a quick overview of what it’s all about. Don’t start with the pitch. While it’s important in any online medium to get to the point quickly, your first word should never be “buy.” Instead, greet the person as if you’re meeting them face-to-face. Share anecdotal details. Anecdotes are concrete details that stick in the mind. Quirky things, like the fact that you and the prospect both have a sister named Gertrude, will make you stand out as a salesperson and deepen the relationship more quickly and authentically. Don’t force it though. Give a quick summary of what you’re about to say. The customer watching your video is making a quick judgment about whether to keep watching. Give a short rundown of your main points at the beginning so they know you’re thinking of them and their time. By starting with stories about people, you can help your customers understand why you’re doing what you’re doing and where you’re going to go next. Structuring your sales presentation will make it a lot easier for the customer to digest. This product video from Quip follows a structure from small to large. It starts with a single spreadsheet and eventually shows the product as part of more complex, collaborative projects. The simple, logical formula makes you feel like you could get started with Quip today, but also that you’ll continue to get value from it down the line. The list: Lists set up a clear expectation for the viewer and are easy to digest. A list video is like a traditional slide deck, just more dynamic — whether it’s “3 Reasons to Try Your Product” or a five-step demo. To make things super clear, use title slides for each point, and don’t forget to include the number in the title of your video. The hero’s journey: Set up a story where your customer is the “hero” setting out on a journey of discovery. You can discuss what conditions are leading the hero to seek change, discuss challenges they’ll overcome with your product, and explain how they can bring back newfound wisdom to their team. This personalized approach will make your customers feel special. Sparklines: In her book Resonate, presentation expert Nancy Duarte explains how great speeches go back and forth between lines of what life is like now and what it could be in an ideal future. Contrast life without your product (blah) to life with your product (fantastic!) to create an emotionally impactful presentation. While video pitches should always have a firm structure, be sure to focus on substance over style. Structure should guide your presentation, not lead it. A good narrative structure reinforces the message inside. As long as you know your audience and the main value you’re offering inside and out, you can use the structure to make that message pop. 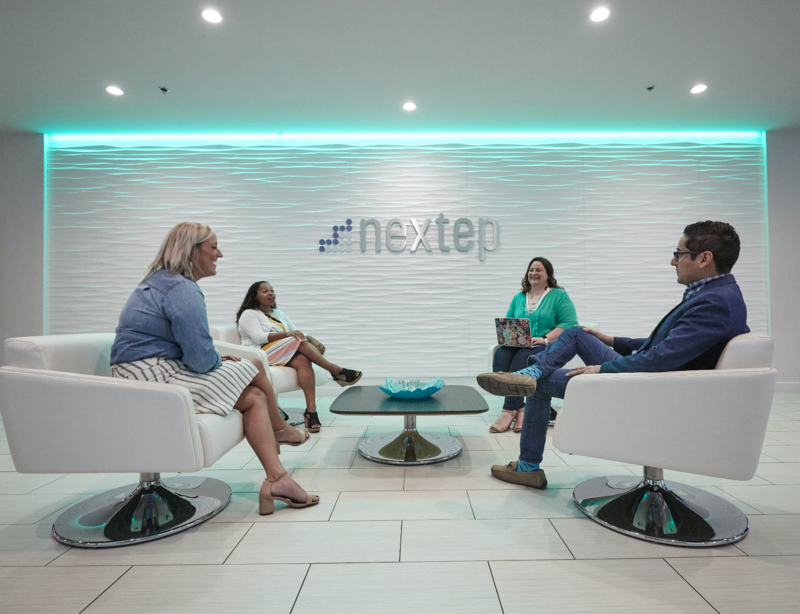 Unexpected asides, fun graphics, and other creative personal touches add the element of je ne sais quoi that your presentation needs to succeed. Focus on small details to show prospects and customers what makes your company unique and delightful to work with. From naming the example company and showing faces of team members to creating interesting collages for the background, the presentation video is full of tiny, clever surprises. 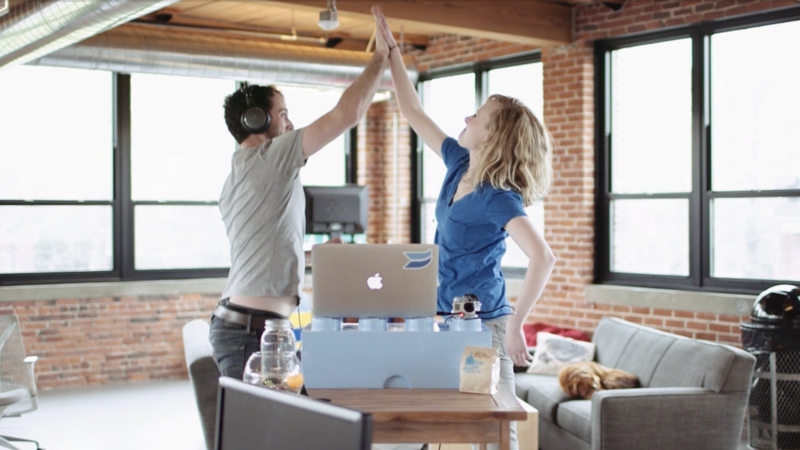 Intercom makes their product look amazing while also informing the viewer how to use it. Keep it simple and play to your strengths: If you have a set of skilled designers onboard (who aren’t working on a zillion other things), then go ahead and add design flourishes. But if you only have your webcam and your cubicle mate Bryan handy, then bring him into a Soapbox video and talk about how fun it is to work with your team. Don’t overlook the soundtrack: Background music works on our subconscious to set a mood and stir emotions. If your product is a little bit technical and you want to spice up your demo, find a triumphant musical track that shows off your enthusiasm for solving hard problems. Show off your workspace: Yes, you’ll have to tidy up a bit first. But setting up a DIY studio in your office will show customers how you work and help them get to know you a bit better. This will create a feeling of familiarity right off the bat. 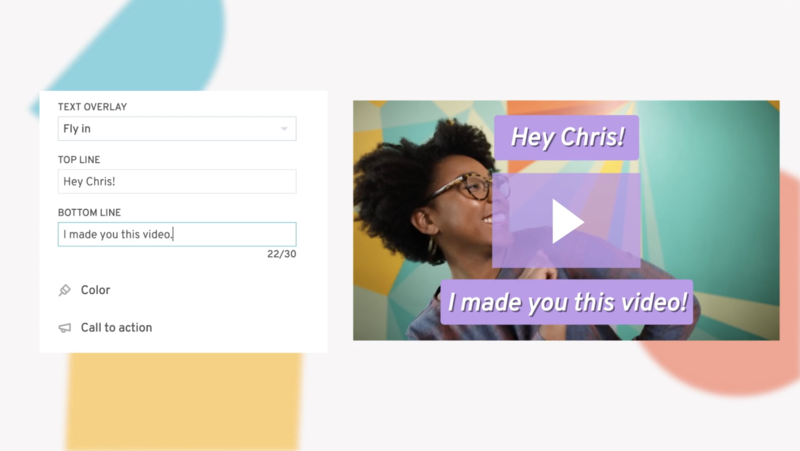 Choose fresh examples: One of the best ways to flex creativity in a product-focused video is to use entertaining examples, demo customers, and use cases. 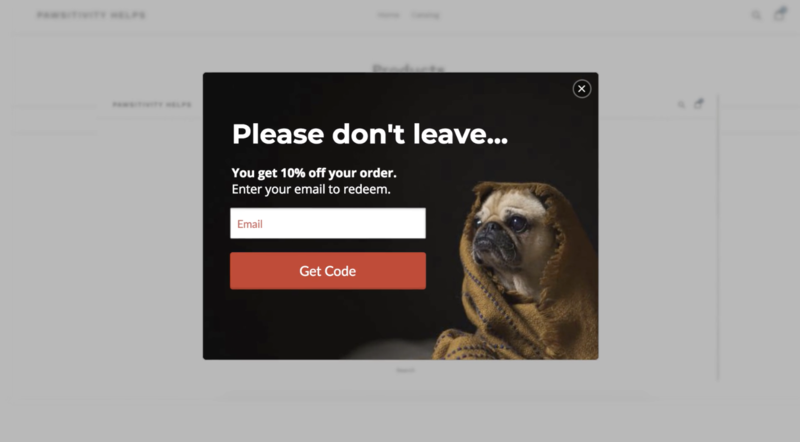 Privy, an email tool for marketers, features cute dogs on all of their demo pages. This pup is channeling some series ET vibes. Ultimately, empathy for the customer and a deep understanding of your product should drive the way you think creatively about your sales presentation. Creative surprises come after you determine the desired action and the structure of your presentation. If a joke or graphic doesn’t help the customer understand your product better, cut it out. These tips should get you started on the right foot, but learning doesn’t stop there. As you create more and more video sales presentations, you’ll find out what works and what doesn’t. The quickest way to learn is to ask your customers. Take their feedback and incorporate it into your next presentation. That’s the beauty of presentation videos: Iteration is your best friend. With Soapbox, you can constantly create new versions of presentations. You can answer specific customer questions or explore different ways to help people understand what your product does and why. The sooner you start, the better! 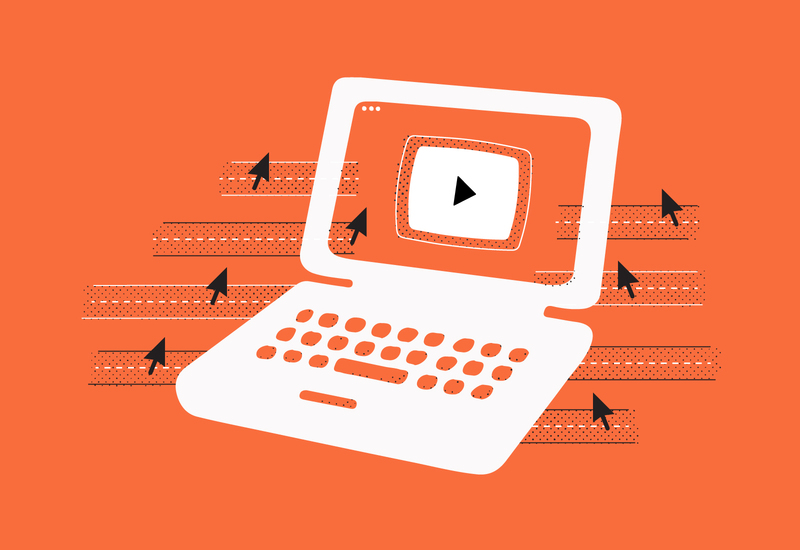 Learn why, when, and how to add video to your sales process.